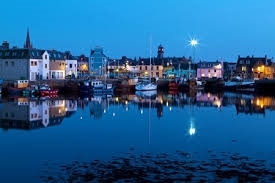 Eoropie self catering accommodation sleeps 6, ideally situated in the heart of Stornoway, just a short walk from the ferry, supermarket, shops, bars and restaurants. Two double bedrooms and two single bedrooms with linen, duvet and towels etc included at no extra cost. There is a fully equipped kitchen/dining area including washing machine. Lounge with couch, TV/DVD/CD player.